The project is in the process of developing a Best Practices online database, which will provide visitors to the website the ability to search for information on each of the Teacher Professional Development (TPD) programmes organized in each participating country. The following two exemplars, one from WP3 and one from WP4, provide a glimpse into TPDs organized during the first TPD series. More exemplars will be placed online in the next months when the Best Practices Database will replace this page. To support teachers in conceptualising the SSIBL framework through a hands-on, reflective activity. Background: The first Cyprus TPD course took place from October 2015 to June 2016, for a total of 42 contact hours of collaborative meetings, plus time spent for individual design work, preparation of the implementations in the classroom, and actual implementations with students. The exemplar presented here took place during the first two face-to-face meetings of the Teacher Professional Development Program in Cyprus. 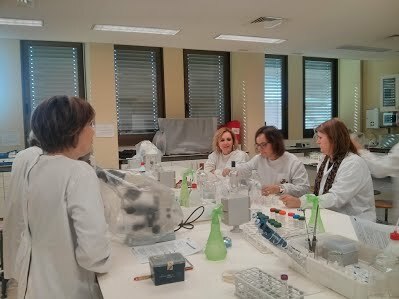 During these meetings the in-service science teachers had the opportunity to investigate the controversial topic of antibiotics in livestock, using two online learning environments specifically designed for this task by the local PARRISE team. 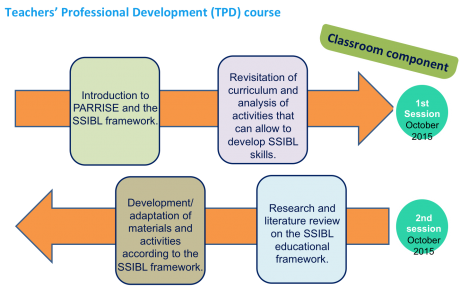 The online environments provided teachers with the opportunities to investigate and define the pillars of the SSIBL framework (scientific inquiry, socio-scientific issues, critical citizenship, situated within an RRI topic and contributing to responsible research and innovation). The activity was divided in two parts. 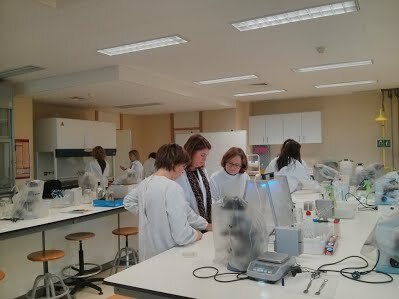 During the first part, teachers were asked to become “learners”, and engage in the activity to develop an evidence-based argument about the issue of antibiotics in livestock. During the second part of the activity teachers were asked to act as “reflective practitioners” and examine the environment from the perspective of the teacher, reflecting on students’ needs and how they could scaffold them in investigating the topic themselves. Does the use of antibiotics in livestock result to safe meat for the consumers? What are the pros and cons? 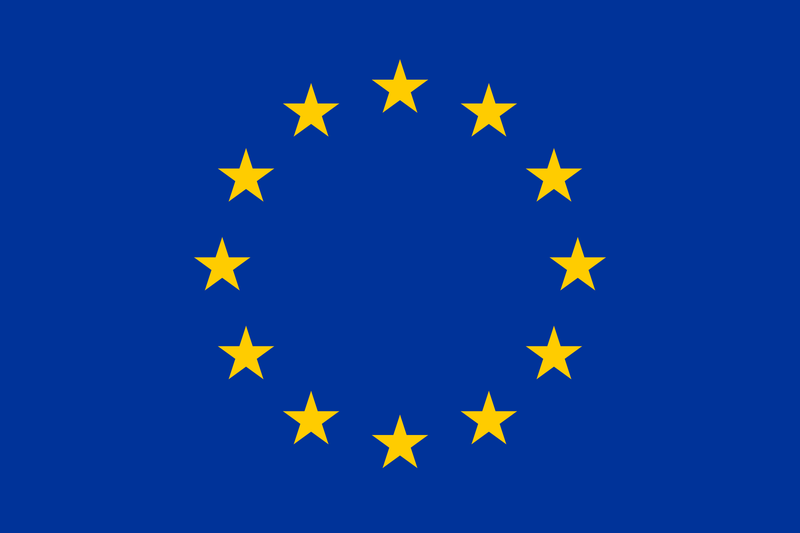 What is the responsibility of each stakeholder group? How can we safeguard the health of the animals and of the humans who consume this meat? The function of antibiotics is well known to humans, but along this often comes abuse, both in their consumption by humans and also in their administration to livestock. While antibiotics can help keep an animal healthy, they may also be administered for financial gain, ignoring the consequences on human health through the food chain. How does the society monitor such threats and who’s responsible for this and how? How might resistance to antibiotics develop through the consumption of antibiotic-ridden meat? What can be done at the societal level to curb this problem? Promote debate and critical reflection on current practices and legislation about meat safety. Engage participants in democratic and respectful exchange of ideas, through a debate and plenary discussions. In the first part of the activity teachers were presented with the web-based environment and were asked to provide an evidence-based response to the driving question: “Should the antibiotics in livestock be banned?” This topic is controversial, and the different stakeholders involved have varied interests which complicate a simple answer to the matter. Teachers were divided in eight groups representing the stakeholders involved in the specific controversy (e.g. farmers, concerned scientists, pharmaceutical companies, etc.). Each group of stakeholders was asked to examine the website presenting the controversy, using the perspective of their stakeholder group. They were also asked to discuss and develop arguments supporting the stakeholder’s position, in preparation for the debate. Arguments were documented in google docs, to facilitate group work and sharing. The activity concluded with a plenary, reflective discussion, connecting back to the PARRISE approach and goals. During the second part of the activity, the teachers formed 8 groups and were invited to analyze the web-based learning environment “What type of meat would you buy?” The online environment was based on the first activity (PART A) and was now structured as a learning environment for students, with structured tabs to scaffold their navigation of the online environment. Each group was asked to complete a Google docs and report on the aspects of the SSIBL framework addressed by the learning environment. The activity was completed with a discussion at the plenary. Teachers were asked to share their critiques, reflect on and discuss the SSIBL-related activities they identified. To foster the importance of assuring confidentiality in the dissemination of data collected with the students’ questionnaire. To foster the development of respectful attitudes for the living beings used as model organisms in this practical activity. Stimulate students’ autonomy and assign them an active role in developing their own learning, by carrying out an initial investigation into the practical activity implemented later on and developing a questionnaire to be applied to the school community. Engage the students in the dissemination of the practical activity, its results, and the outcomes of the survey analysis to the broader school community (including family and friends) during an Open Day held at the participant school. The activity was implement ed by four 10th grade classes with the main goal to raise awareness among students about the need for prevention, control and reduction of health risks caused by drugs like nicotine and caffeine, as foreseen in the curricular unit “Distribution of matter: transport mechanisms in animals” (Unit 2, 10th grade Biology/Geology Program). 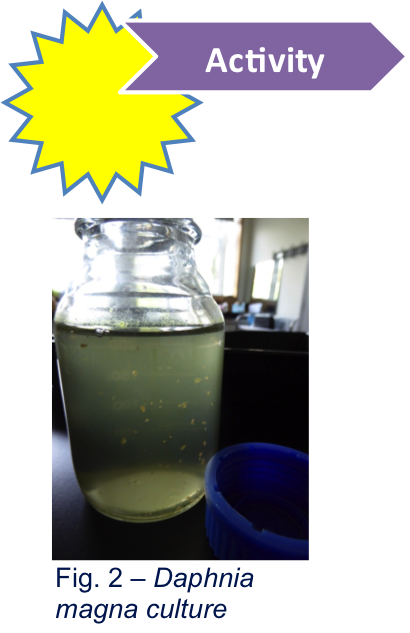 The main goal of this practical activity was to evaluate the toxicity of a selection of substances used by humans in their everyday life, using Daphnia magna as a model organism. 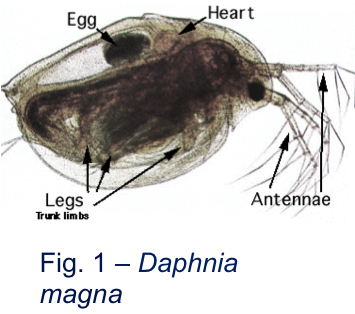 Daphnia magna is an excellent subject for studying the effects of caffeine and nicotine due to the translucent exoskeleton and the visibly altered heart rate. They are well tolerant of the stress induced by manipulation and observation under a binocular lens. 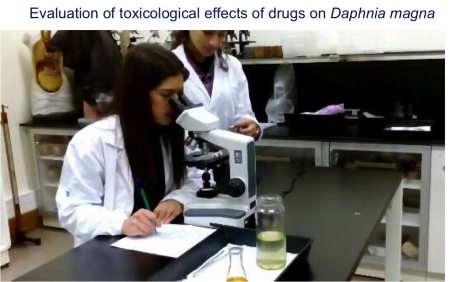 vational potential of laboratory work it was intended to provide a scientific basis from which to prompt discussion of the effects and risks of drug consumption habits within different societal groups, based on the outcomes gathered through a survey aimed at the school community.